First and foremost, I hope this story encourages others who are yearning to create their first online business or product or who are looking to grow their existing business. Another reason is because finding the right business partner was a very long and difficult journey for me and I hope this serves as an example of perseverance if trying to achieve something you’re passionate about. I started exploring the idea of partnering with others in the online business world pretty early on in my career. Sure, I had several of my own sites that were bringing in some revenue, but in retrospect these were half-baked attempts as I learned more about Internet Marketing, SEO, traffic generation, and the multitude of other things that come with building websites for profit. It wasn’t until I pulled my head out of the “strictly online” sand and went back to my roots of offline traditional business, that my business ventures started to gain traction. It was then that I got into local business website building and started my freelance WordPress career. Because I had gained the experience previously in building eCommerce and AdSense sites, it was easier to offer some Internet Marketing services as well. Through that freelance path, I partnered with several different businesses and individuals for things like keyword research, branding and design, copywriting, and many more subject areas needed to build and maintain a well-rounded business. With each partnership, I always had the expectation that this was the one to lead to a larger full time business. Unfortunately, that wasn’t the case for most of these partnerships, although I still work with some of these people and companies on occasion. A Chance Meeting – Or Fate? Almost two years ago I was working with a client who needed customizations of the Gravity Forms plugin, and after trying to hack something together unsuccessfully, I reached out on the Gravity Forms forums for some help. The first reply was from someone using the handle of bradvin who is now known to me as Brad Vincent, FooPlugins Co-founder and of Themergency fame. 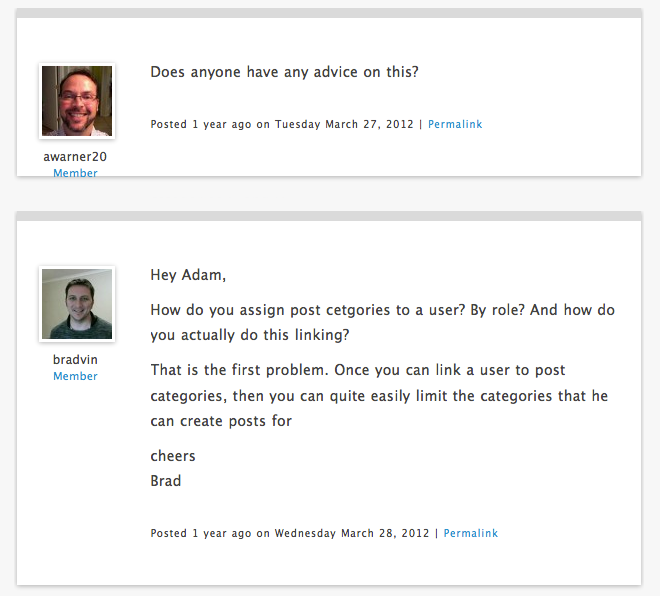 The conversation continued on those forums and eventually via email and Skype as Brad developed a Gravity Forms extension plugin to help meet the needs of that client project. 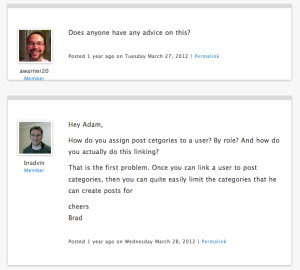 During our emails and Skype calls, I learned that Brad had several free plugins on the WordPress.org plugin repository and also a few premium plugins for sale on CodeCanyon. This piqued my interest because I had been experimenting with selling my own digital products (ebooks and video courses) and had seen some decent success. I had also spent a considerable amount of money trying to find a qualified WordPress plugin developer to create and support some premium plugin ideas of mine. You see, my talents lie in sales and marketing of products, not in quality programming. If you’ve ever tried to outsource the development of any code, then you know that it can quickly become a headache, especially if you want it to adhere to the WordPress coding guidelines and the spirit of open source. As Brad and I chatted about the premium plugin business and what each of our goals were for this space, it became clear that we should combine our talents and put something out there. I pitched Brad the idea of a lightbox plugin that included social sharing and as it turned out, he already had a lightbox plugin in his arsenal named ezLightbox. Fate? I’d like to think so. So we both decided to take a risk. We created some shared Google Docs and worked through the feature set and the sales flow of this new plugin, now named FooBox. Admittedly, the bulk of this risk was on Brad’s part as he somewhat grudgingly agreed to let me release the first version of FooBox on the Warrior Forum, an Internet Marketing forum that has some great people and products, but also shall we say, some lackluster people and products too. We both considered this first release a success, but it also became clear that to truly benefit and support our customers, we needed to go further. Proof of Concept. Now What? The next step was to enhance the marketing of the standalone site we created for the initial launch and to enhance the plugin features with the feedback we were receiving from our customers. This continued for almost a year and that experienced spawned yet another change in the path and a more in-depth partnership. That was when FooPlugins was born. Have you struggled with finding the right business partner?